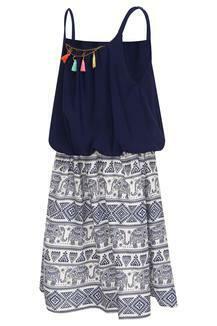 Jazz up the look of your little daughter by making her wear this flared dress from Peppermint. 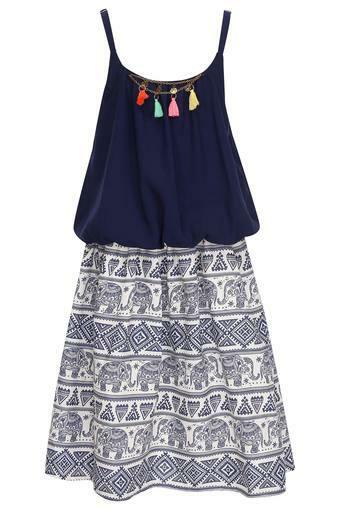 It flaunts a printed pattern, which is further accentuated by the strappy neck, thus giving it a trendy look. Besides, it has been crafted from premium quality fabric to keep her relaxed all day long. 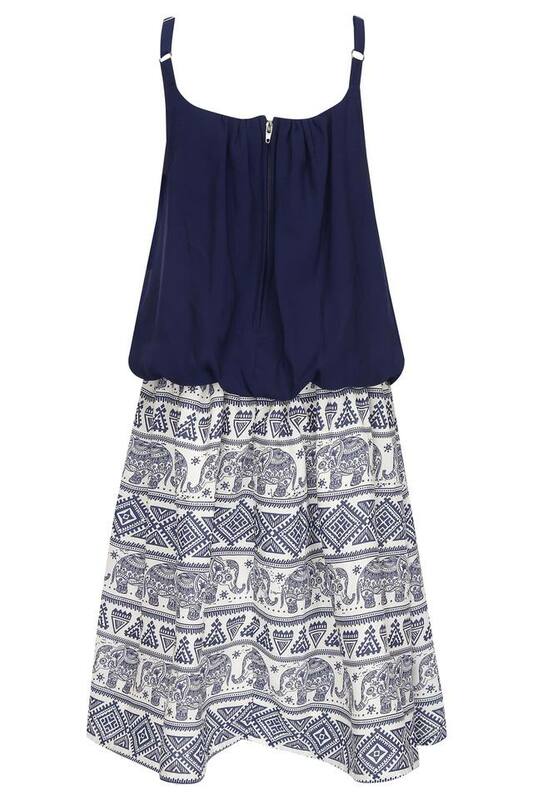 Ideal for your daughter to wear on casual occasions, this sleeveless dress is a perfect fusion of style and comfort. Let her club it with a pair of ballerinas to look adorable.